Industrial Metal Center Company is the agent of B&D Roll-A-Door Company for the last 30 years. B&D Roll-A-Door Co. was found in Australia in 1956, it has grown to become an Australian icon that reflects engineering ingenuity and innovation. At the same time, their products have had a profound impact on urban streetscapes and the Australian dream of home-ownership. From the development of the initial revolutionary all-steel garage door made from pressed metal sheets that could be rolled and unrolled as a continuous flexible curtain without cracking, B&D continued to invest heavily in research and development. Through constantly delivering design and functionality improvements, B&D has been able to maintain its market leadership position for more than 50 years. 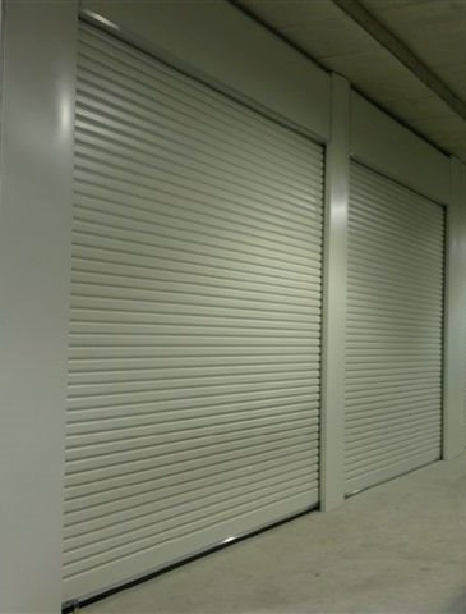 The Roll-A-Door® Series 2 Light Industrial rolling door has long been the ideal choice for industrial and commercial applications. It features a higher standard of durability, performance and operational ease. The Roll-A-Door® Series 3 is perfect for tight headroom situations, or where maximum opening height is required. Each door is custom made to suit individual openings.